CAN YOU HEAR THIS SONG? IT'S MINE! 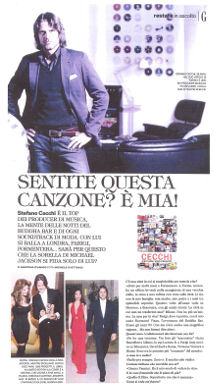 Stefano Cecchi is the leading music producer. The brain behind the nights at the Buddha Bar and every trendy soundtrack. With him, we’ve danced in London, Paris, Formentera… Perhaps this is why Michael Jackson’s sister trusts only him?